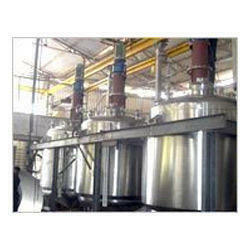 Agitated Vessel manufactured by us fulfill the requirements of many industries and sectors. The agitated Reaction Vessels is designed for controlling the temperature. This vessel circulates the heat for the uniform heat exchange. We are the leading agitated vessels manufacturers and we make them using the premium quality stainless steel. These vessels can be attained from us at market leading prices.